Third time’s a charm! 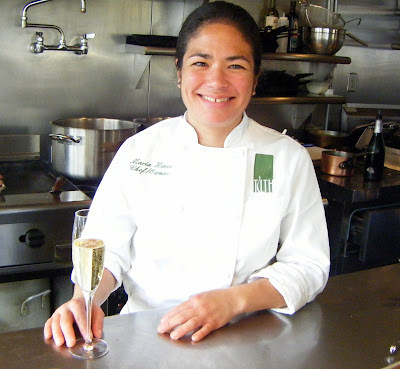 Minutes ago, three time-nominee Maria Hines, owner/chef of Tilth in Wallingford took the medal for Best Chef Northwest at the 2009 James Beard Awards in NYC. Because she was among the women chefs cooking for the gala after-party, she barely made it to the stage on time when they called her name. What do you want to bet she’ll be drinking Champagne tonight?